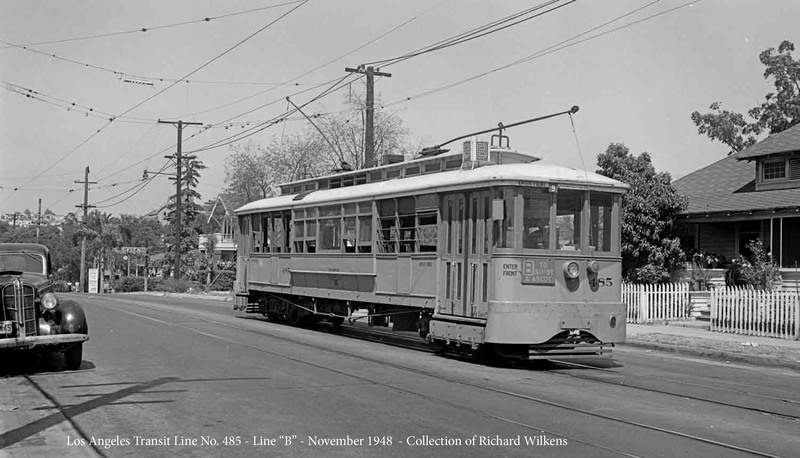 The great website Pacific Electric Railway Historical Society has added some historic Los Angeles streetcar photos to its eminent collection courtesy of Robert Chamberlin Photo and Richard Wilkens Collection. ABOVE: Their latest comes from Los Angeles Transit Lines no. 452 on the N Line service. 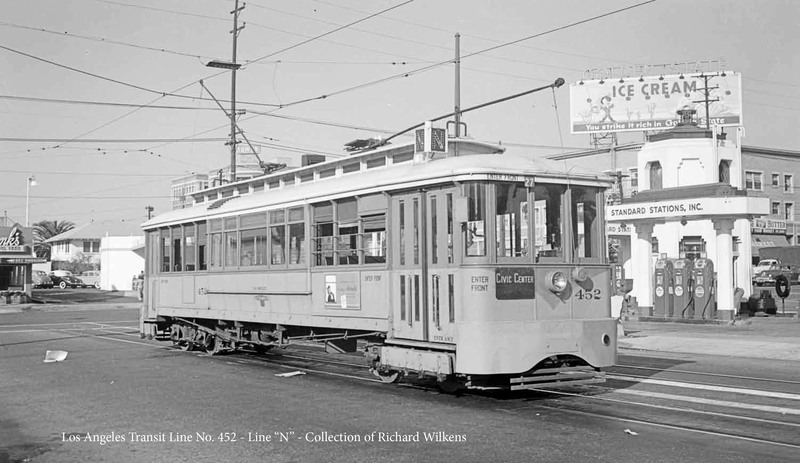 BELOW: Los Angeles Transit Lines no. 485 is captured on B Line service in this neighborhood location. It’s November of 1948.